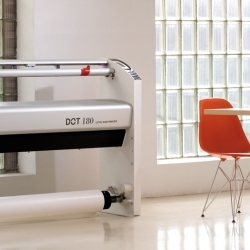 Ricard Vila's new generation plotter. 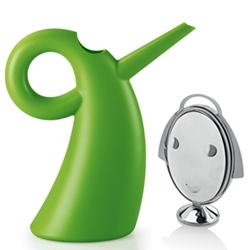 Ecological, noiseless, ergonomic and easy to use. Produced by TKT brainpower. 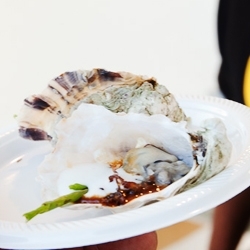 FEATUREDGet ready for your next adventure with a travel roundup from Notventures. Microsoft has just announced a limited edition Star Wars themed Xbox 360 Kinect Bundle. 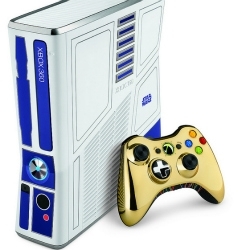 An R2-D2 themed console with custom sounds, and a C-3PO themed controller are the highlights of the bundle. 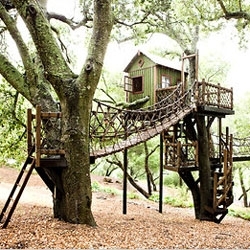 Awesome slideshow of some incredible playhouses from the NYtimes. Sivan Royz’s laser-cut shell like iPhone case. 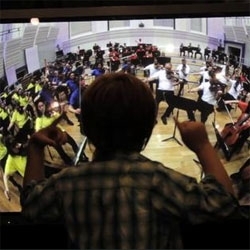 VIDEOWith Maestro, magneticNorth lets kids conduct an orchestra! Part of the recent Manchester International Festival. 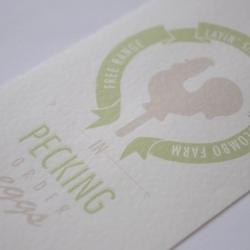 ‘In Pecking Order Eggs’, market research shows the average consumer only uses two eggs at a time. 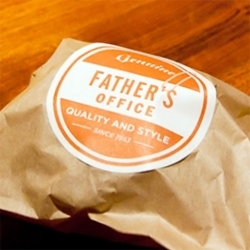 Alana Leddin came up with a two-egg packaging that was durable, cheap to produce, easily flat-packed and user-friendly. VIDEOBon Yurt. Artists go wild with neon glowsicks, blenders, crystal glasses and some 200 meters of hose. 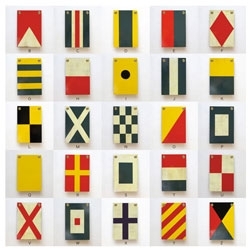 Impress set of 26 wooden nautical flags from Best Made Company. 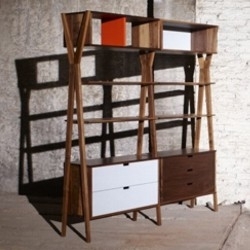 The new Dixon modular storage unit by Dare Studio can be arranged in multiple configurations and also used as a room divider. 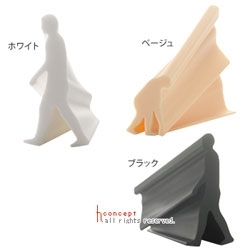 Evolution eraser from h concept's Horiyuki Shiratori. 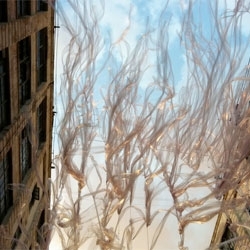 'Weightless pull' by Architecture CO for Superfront Brooklyn's Public Summer Pavilion. New Limited Edition Art from Russ McIntosh. 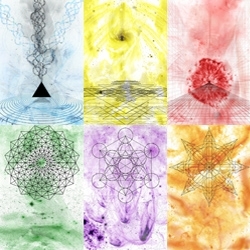 Focusing on a lighter and brighter atmosphere, this series implements geometric shapes and select color to find a correlation in our reality. Who said a concrete floor looks cold and industrial? Ivanka Flaster proves what a great stuff concrete really is. 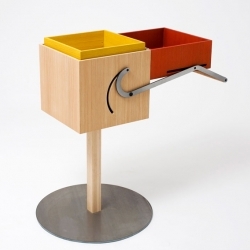 During a collaborative workshop organized by Dutch furniture company Arco, Andrew Haythornthwaite created 'autoboxes.' taking mechanical cues from the children's toy jack-in-the-box and some impressive design-skills. 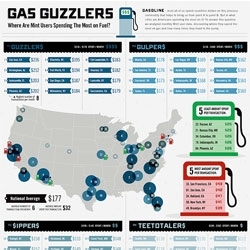 Gas guzzlers across America, new infographic from Mint. FEATUREDRowing along Oxford Street sipping drinks and nibbling strawberries. 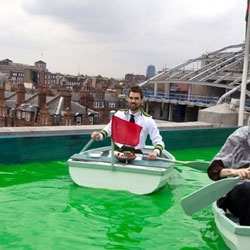 5 stories above the crowds on the roof of Selfridges you'll find a boating lake, island bar and waterfalls. A surreal experience from Bompas & Parr to launch the sweetener Truvia. 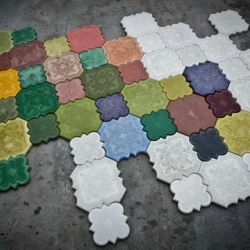 Repeat after us, Pattern Wall Tiles are sticky without the icky. 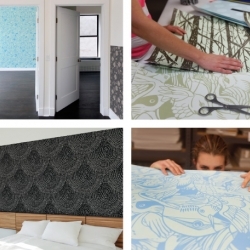 Get on board with these eco-friendly, self-adhesive pattern tiles from Blik and Threadless. 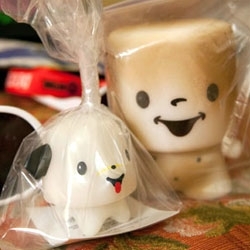 FEATUREDClose up look at 64 Colors' Toasted Marshall the marshmallow (each hand toasted!) 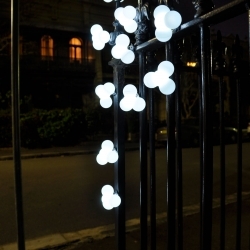 and his new sidekick, the limited edition glow in the dark Gumdrop puppy! 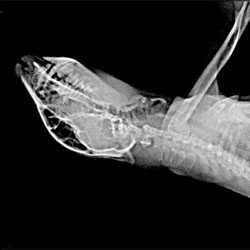 X-rays of sloths show clues to their behavior in their extraordinary anatomy. 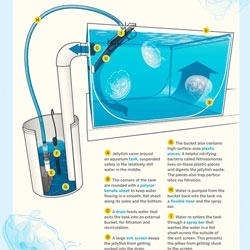 Alex Andon's make your own jellyfish habitat featured in MAKE volume 27. 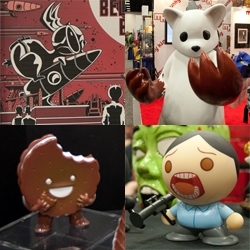 FEATUREDSD ComicCon is upon us ~ and here's a look at some of the fun toys that caught my eye ~ lots of fun playful designer inspiration! 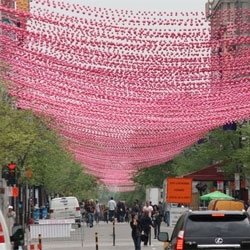 Pink Balls for Aires Libres in Montreal by Impact Production in partnership with Société de développement commercial - SDC du Village. VIDEOFor ID&T & Vodafone, IceMobile created an iPhone and Android app for music festival 'Welcome To The Future'. Users can check info, timetable, share their fav line-up via Facebook, view exclusive content and videos. 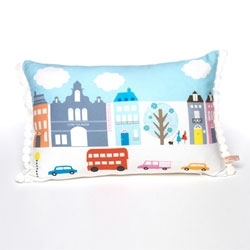 Michelle Mason's adorable London cushion series. An unusual custom bike with lots of right angles! 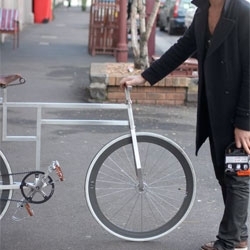 Looks very similar to the original BauBike by Michael Ubbesen Jakobsen. 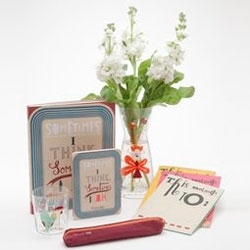 An exclusive range of products for Tate designed by the award winning illustrator and artist Sara Fanelli, whose inspiration lies in the visual arts, literature and theatre. 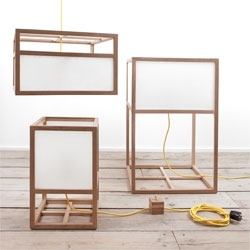 'ben Helder' series from Ben Werkt: handmade shoji lamps made from two red cedar frames fastened together with ricepaper. Tumbler switch in a red cedar housing and 7W Paulmann energy saving light bulb. 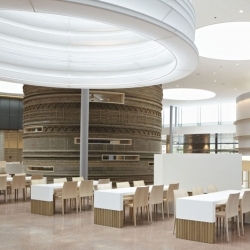 Sander Architecten's cardboard bank in the Netherlands, the Rabobank headquarters. 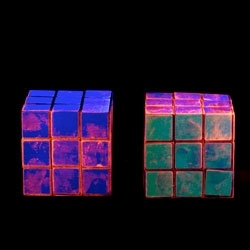 Lorena Turner's Made in China series shows images dusted for fingerprints and photographed under black lights, showing the touch of those who manufactured and packaged each item. 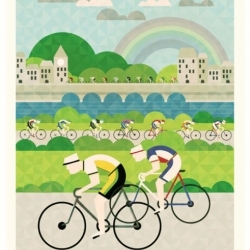 Enjoy biking with these colorful Tour de France posters by Crayonfire. Free form open plan office for the ad agency Sid Lee in Montreal. 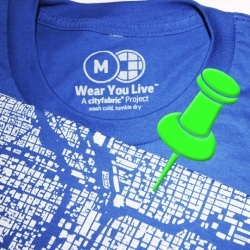 Wear You Live™ by CityFabric® is Urban Design you can wear. These wearable maps depict all the buildings in a city rather than the roads or transit lines, allowing anyone and everyone to tell a story about their place. The nhow Berlin is Europe's first music hotel. Karim Rashid's visionary style strikes the perfect chord with the building’s exterior, designed by star architect Sergei Tchoban. VIDEOJazzed by Anton Setola. 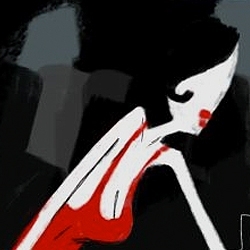 An aimless character is confronted by his roots during his nights in town. It leaves him not only with a hell of a hangover, but also with a doubtful self image. Jazzed incites the audience on an introspective journey. 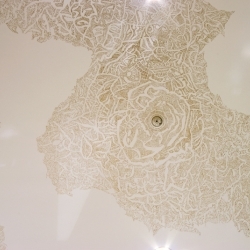 Unnevers, gold paint on ceiling, 7000mmX x 5000mmY by Yi Lin Juliana Ong. 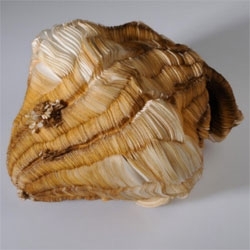 A femur bone is modeled and 3D printed to become a replacement leg for a wooden table. 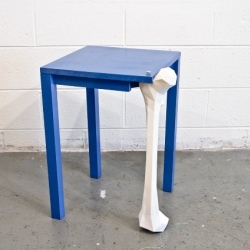 'Femur table' by Atlanta interdisciplinary designer Kevin Byrd. 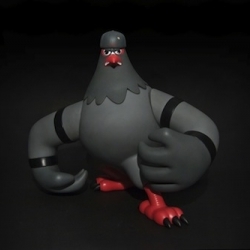 Adfunture Workshop for Staple Design - The result of their work is the Bellator Columbidae, or 'Fighting Pigeon' in Latin. 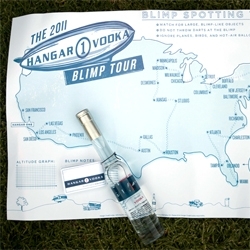 FEATUREDHangar One Vodka takes the US by BLIMP! And a beautifully branded case of goodies to announce the adventure as they blimp their way from Miami to San Francisco... the long way! Apple today has launched OS X Lion, which is now available exclusively via the Mac App Store. 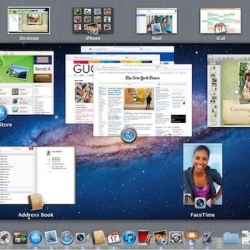 OS X Lion is Apple's next-generation operating system for the Mac platform. 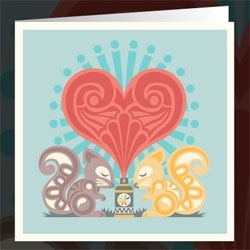 Melodika, a cute line of greeting cards illustrated by Chad Woodward and published by Urban Graphic. 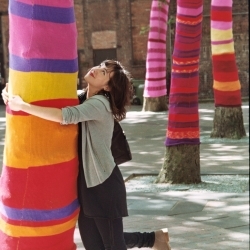 Knitted Trees - this whimsical art installation has made Seattle's Pioneer Square neighborhood look like the setting of a Dr. Seuss book. 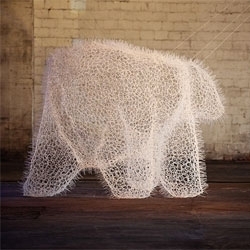 'Zip Tie Massimal' by Design Office Takebayashi Scroggin (d.o.t.s.). Conceptual whiskey bottle / packaging design. 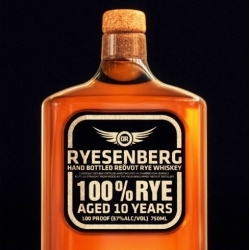 Made from the actual aging barrel, the label can be removed to be used as a coaster or simply as a collectible once the bottle goes dry.